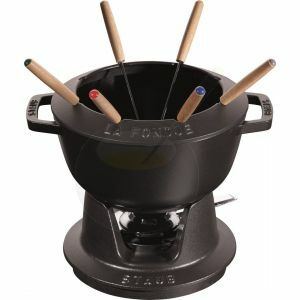 Fondue has always been a very popular way to spend time with friends and family. 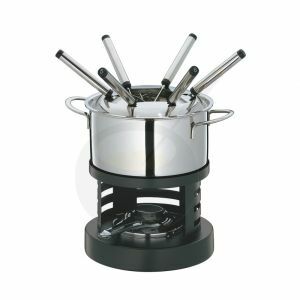 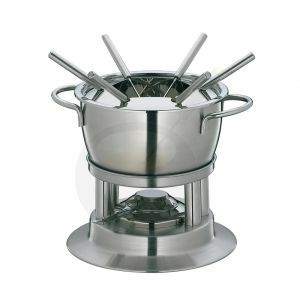 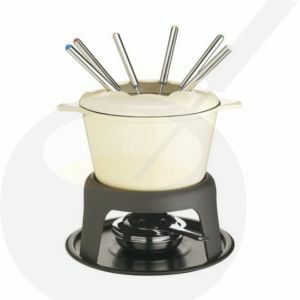 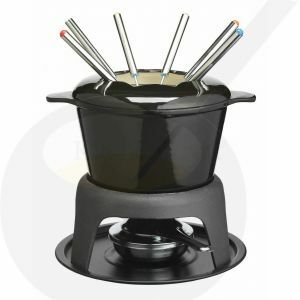 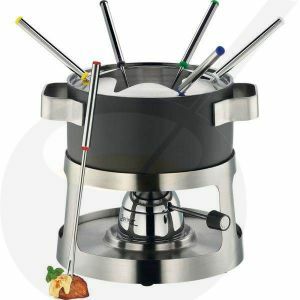 If you are looking for high quality fondue set you came to the right place. 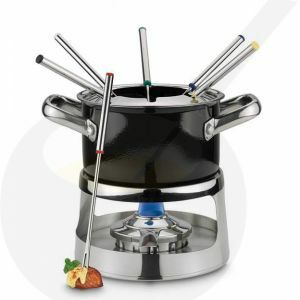 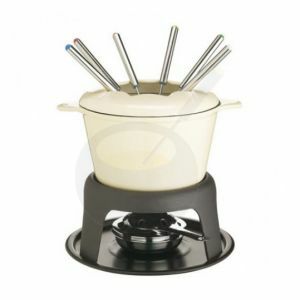 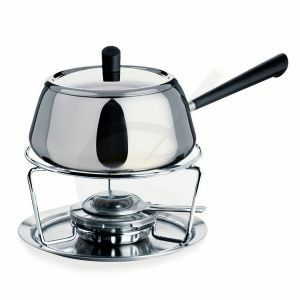 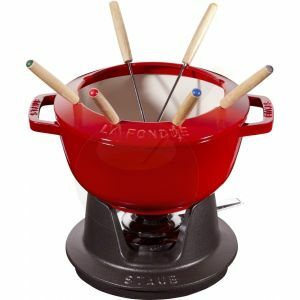 Fondue Online serves a wide range of fondue sets. 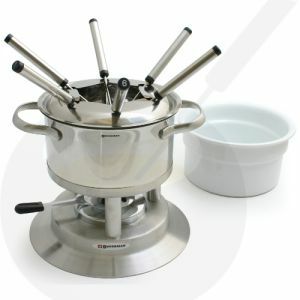 Everything we have in stock and can be quickly delivered. 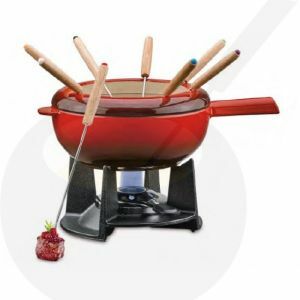 Dip, swirl and devour using this delicious Red Swissmar Noirmont fondue pot. 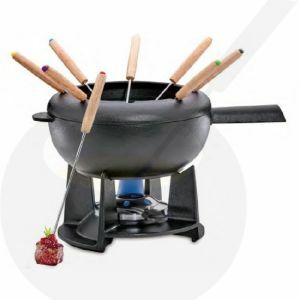 Fondue is a fun activity to do together with all sorts of people. Regardless the fondue of your choice, together with your partner, family or friends you sit around the fondue set and enjoy the food and each other. 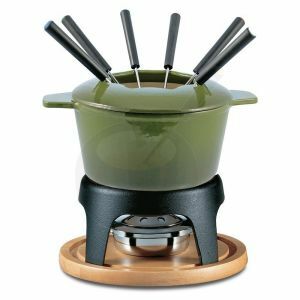 Various fondue sets are available in different sizes, depending on the number of people you want to enjoy your fondue with. 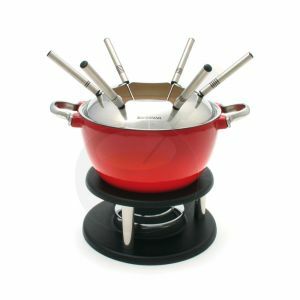 A fondue set consists of a pot with a base and a burner, the so-called rechaud and fondue forks. You can choose between pots of various sizes and different types of burners that heat the contents of the pot for you and keep them warm. 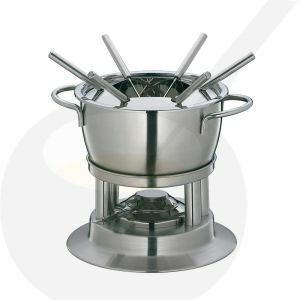 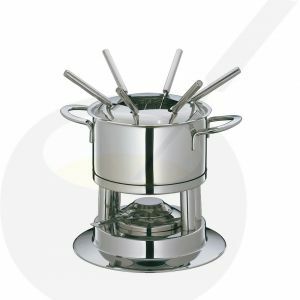 Some sets are supplied with a splash screen, which is not only useful, but also ensures that the fondue forks, which are supplied with the fondue set, remain in the pot. The pots of a fondue set have been developed in such a way that the heat is evenly distributed and therefore also warm the contents evenly, regardless of what type of burner you use, what the size of the pot is and what material the pot is made of. 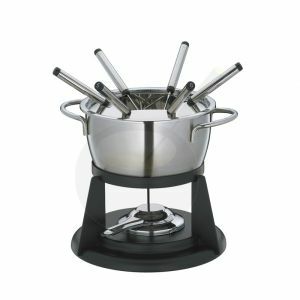 This ensures that everyone can enjoy all the goodies in the pot when you organize a fondue party.